Salmon Watch Ireland Limited (‘SWIRL’) is a not-for-profit membership organisation dedicated to the restoration of wild salmon abundance. It is SWIRL’s position that open-cage salmon farming is inherently damaging to sea-migrating wild salmonids, Atlantic salmon and sea trout, and has proved to be so in Norway, Scotland and Ireland; in addition there are other significant environmental threats associated with open- cage farming. In the view of SWIRL, and many others here and internationally, it is only throughconversion to closed containment systems, whether on land or in the sea, that can fully mitigate the hugely negative impacts flowing from current systems of salmon farming. There are now marketable quantities of closed containment salmon being produced on both sides of the Atlantic and the Norwegian government has committed to closed containment for further expansion of its industry. Nonetheless, Ireland has a salmon farming industry which the Government is intent on expanding using current, out-dated technology with all its’ dangers. Without prejudice to its opposition to open-cage salmon farming, therefore, SWIRL is obliged to put forward observations designed to mitigate the damage caused, particularly to wild salmonids, by existing and new installations. The observations that follow should be seen in that light. In the light of the information and analysis set out below SWIRL submits that ALAB should refer the licencing of a new salmon farm in Bantry Bay back to the Department of Agriculture Food and the Marine (‘DAFM’) and thatthat a licence should not be issued until the true potential impact on wild salmonids of the new farm taken in conjunction with the impact of existing farms is determined and full mitigation measures put in place in full conformance with the precautionary principle and approach. 6. There are serious conflicts of interest within the EIS/EIA process and the licence decision-making as it all takes place within the DAFM and its executive agencies, the Marine Institute (‘MI’) and Bord Iascaigh Mhara (‘BIM’) while the DAFM also has overall responsibility for the development of salmon farming. The EIS (Vol 1 – pages 219 to 242) treats the sea lice issue almost as a hearsay matter promulgated ‘in some circles’ and relies on the self-interest of farmers to ensure that ‘the precautionary principle’ is applied to ensure that (a) ‘they minimise any suspicion of impact on wild salmonids’ and (b) ‘ensure that their own stocks do not fall prey to severe lice infestation’. This argument does not, of course, hold up as the farmed salmon can successfully withstand levels of sea lice many multiples of the average of 0.3 to 0.5 ovigerous sea lice per farmed salmon that are required for the protection of migrating wild smolts in the critical March – May period. The EIS relies heavily on the mechanisms laid down for sea lice control in Protocol No 31 and describes it as ‘mandatory’ (page 219) and that monitoring is ‘under statute’ (page 220). In reality, the legal status of Protocol No 3 is ambiguous and has never been legally tested. More importantly, the issue is not just mandatory monitoring but mandatory treatment if sea lice are found to be over the trigger level. Farms can, in practice, avoid treating their stock if they are actually or about to harvest fish irrespective of the sea lice count (even leading up to or during the critical period) and, therefore, the potential damage to wild salmonids. 1 Monitoring Protocol No. 3 for Offshore Finfish Farms: Sea Lice Monitoring and Control, DAFF (Dublin, 11 May 2000). levels it is unlikely to influence the conservation status of stocks and is not a significant driver of marine mortality’. They fail to mention that there is voluminous literature from scientists and institutions at least as eminent as the MI which assess the same or similar data to that available to the MI in a very different way. A recent article with authors led by the Norwegian Institute for Nature Research (within which is discussed literature which compared the survival level of salmon smolts that had been chemically treated to withstand anti-sea lice with those which had not been treated prior to all being released into estuaries where there were salmon farms ) concluded that ‘within any given release group, a risk ratio of 1.14 to 1.41:1 reflects the 12% - 29% fewer unprotected than protected fish ultimately are captured as adults’2. The literature reviewed in coming to that conclusion included four articles written by MI scientists. 2 Thorstad, E B et al, Effects of salmon lice Lepeophtheirus salmonis on wild sea trout Salmon Trutta – a literature review. Aquaculture Environment Interactions Vol 7 91-113 at 107 (2015). NOTE: While primarily about the impact of sea lice on sea trout the article also referenced those on salmon. 3 Krkosek et al, Short communication – Comment on Jackson et al ‘Iimpact of Lepeophtheirus Salmonis infestations on migrating Atlantic salmon, Salmo salar L smolts at eight locatioons in Ireland with an analysis of sea-lice induced mortality’. Journal of Fish Diseases (2013). 4 (a) Jackson et al. An evaluation of the impact of early infestation with the salmon louise Lepeopthteirus salmonis on the subsequent survival of outwardly migrating Atlantic salmon, Salmon salar L smolts. Aquaculture 320 (2011). (b) Jackson et al. Impact of early infestation with the salmon louse Lepeopthteirus salmonis on the subsequent survival of outwardly migrating Atlantic salmon smolts from a number of rivers on Ireland’s south and west coasts. Aquaculture 319 (2011). ( c )Jackson et al ‘Iimpact of Lepeophtheirus Salmonis infestations on migrating Atlantic salmon, Salmo salar L smolts at eight locations in Ireland with an analysis of sea-lice induced mortality’. Journal of Fish Diseases (2013). spawners returning to a river from say, 6000 down to 4000; this one third loss of salmon returns could have significant conservation or fishery implications’. The literature reviewed in the Thorstad paper included one by Krkosek et al5 which considered the results of surveys in Norway and Ireland (the latter including that examined by the Marine Institute scientists) and concluded that parasite associated mortality of Atlantic salmon was of the order of ‘39% of salmon abundance, but also loss of genetic variability and its associated potential for adaption to other environmental changes’. ‘the implications of our results may be most acute for small populations in small river systems. Due largely to the fidelity to their natal river systems, populations of Atlantic salmon typically show substantial genetic structuring and variability that is considered adaptive. Small river systems that support salmon populations of low effective population size will be especially vulnerable. The concern, therefore, is not only for a 39 per cent loss in salmon abundance, but also the loss of genetic variability and its associated potential for adaptation to other environmental changes’. This issue of small salmon populations in small river systems is, as the EIA points out (page 44), precisely one of the key common characteristic of the five rivers that flow into Bantry Bay and one which dictates that extreme caution be exercised in the introduction of any further stresses into their environment. The existence of these papers (and numerous other papers with similar conclusions) and their findings are not acknowledged in either document other than as ‘in some circles’. It is submitted to ALAB that neither of the EIS nor the EIA documents adequately evaluate the threat of sea lice and, therefore, cannot be considered an adequate basis on which to issue licences to Bradan. SWIRL is not asking the ALAB to adjudicate on the correctness or otherwise of any of the scientific positions that have been arrived at but to acknowledge that an ‘equal or better’ situation6 exists which requires the application of a precautionary approach in the awarding of the Bradan licences. Some legal authorities on the application of the precautionary approach emphasise that in the event of doubt regarding environmental impacts, or as to the ability to mitigate such impacts, that consents should simply be withheld. The EIA statement (page 44) that ‘Prevention of escapees is of paramount importance to the applicant’ is obvious and uncontentious. But escapes have occurred and do occur (even if sometimes disguised as ‘losses’) and often through poor management of the farm and/or poor enforcement of regulations by DAFM. The issue of escapees has to be seen in the context of the fact that only about 350,000 mature salmon now return to Irish rivers each year. They are spread over some 120 river systems some of which, such as the salmonid rivers in the Bantry Bay area as the EIA points out (page 44), hold very small stocks. 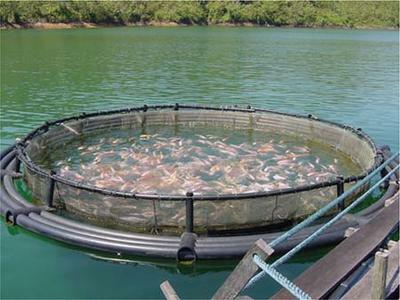 Against that background, the 2014 ‘fish loss’ in Bantry Bay referred to the EIA and which involved some 230,000 fish could have had catastrophic consequences for wild stocks over a considerable area; it is still not understood how this huge mass escape occurred or what happened to the stock. 6 See ‘Section 4 – ‘Precautionary principle’ below. ‘Numbers of farmed salmon escaping to the wild are large relative to the abundance of their wild conspecifics……. [There are] two important implications regarding escaped farmed salmon: 1) potential effects of escaped farmed salmon on population size and production are difficult to separate from other factors, and 2) wild salmon populations are likely to be more vulnerable to effects of escaped farmed salmon because of the synergistic effect of other negative pressures’. The EIA offers little comfort in this area and falls short of saying that the design, installation and maintenance plans for pens and moorings are considered adequate. The EIA reliance on some future protocol covering these matters and the recovery of escaped fish from fresh water is not sufficient. The draft licence authorises a 24 month cycle of production but does not specifically indicate the age of the smolts that will be stocked and the months in which smolts will be permitted to be stocked. The licence application by Bradan does, however, indicate biennial November stocking with biennial fallowing of the site in September and October. The DAFM protocol for fallowing8 of high energy smolt sites designates best practice being to fallow during the winter months of January/February. 7 Thorstad et al. Incidence and impacts of escaped farmed Atlantic salmon Salmo Salar in nature. Norwegian Institute for Nature Research (2008). 8 Monitoring Protocol No 5: Fallowing at Offshore Finfish Farms, DAFF (Dublin, 11 May 2000). over the critical period and throughout the summer months, a critical period for wild salmonid migration and for inshore feeding of sea-trout. The treatment for sea lice infestation during the harvest period is substantially reduced or indeed eliminated and this will further negatively impact on wild salmonid smolt migration. Stocking smolts in March would facilitate fallowing in January and February immediately prior to smolt migration and leave the site fallow in January and February immediately prior to smolt migration. Synchronised production in Bantry Bay would be necessary to optimise the value of fallowing. The EIS and the EIA are at loggerheads on the issue of whether synchronised management is in place in Bantry Bay. The EIS describes (pages 220 and 286) the need Single Bay Management (‘SBM’) and Coordinated Local Area Management Schemes (‘CLAMS’) but notes that ‘CLAMS has yet to be established in Bantry Bay’ (page 220) and that synchronous whole bay management would be ‘subject to agreement with the other salmon farm operator in the bay’ (page 286). The EIA on the other hand says (page 47) that ‘Since 1997, Single Bay Management (SBM) arrangements involving separation of generations and appropriate fallowing sites have been in place in all salmon farming areas in Ireland, including Bantry Bay’. The ALAB needs to establish who is right here and to impose a stocking and fallowing regime that maximises the value of the critical period protections for wild salmonids. approach to risk management holds that if an action or policy has a suspected risk of causing harm to the public or the environment, in the absence of scientific consensus that the action or policy is not harmful, the burden of proof that it is not harmful falls on those taking or authorising the action. It is well enshrined in the jurisprudence of the European Court of Justice (‘ECJ’) and the Court of First Instance (‘CFI’) that in considering risk and whether the precautionary principle should be applied that the best available scientific knowledge and information10 11should be invoked and that in the event of conflict of evidence the ‘equal or better’ rule applies12. The ‘equal or better’ standard is designed to ensure that there is genuine scientific uncertainty about the effect of a particular course of action. Neither the EIS nor the EIA sets out the range of differing scientific views on the matters of sea lice and escapees which are known to exist and, therefore, but from the foregoing references in the case of sea lice and escapees it should not be difficult for the ALAB to assess whether the ‘equal or better’ rule applies. From its own knowledge of the scientific literature SWIRL submits that the application of the ‘equal or better’ standard to the sea lice issue requires that a precautionary approach be taken to the issuing of a licence for a further salmon farming licence for Bantry Bay and that the ALAB should attach to the licence. 9 Consolidated version of the Treaty on the Functioning of the European Union, art 191, para 2. The Habitats Directive13 in Article 6.3 requires that any ‘plan or project’ be considered ‘individually and in combination with other plans and projects’. Although there are references in both the EIS and the EIA to other salmon farming projects in Bantry Bay there has been no attempt to assess the cumulative effect on the bay of the totality of this activity. ‘None the less, according to the wording of that provision, an appropriate assessment of the implications for the site concerned of the plan or project must precede its approval and take into account the cumulative effects which result from the combination of that plan or project with other plans or projects in view of the site’s conservation objectives’. Such an assessment therefore implies that all the aspects of the plan or project which can, either individually or in combination with other plans or projects, affect those objectives must be identified in the light of the best scientific knowledge in the field. Those objectives may, as is clear from Articles 3 and 4 of the Habitats Directive, in particular Article 4(4), be established on the basis, inter alia, of the importance of the sites for the maintenance or restoration at a favourable conservation status of a natural habitat type in Annex I to that directive or a species in Annex II thereto and for the coherence of Natura 2000, and of the threats of degradation or destruction to which they are exposed. There has been no attempt to assess the cumulative effects of all salmon farming activity following the addition of the new Bradan farm. DAFM both directly and through its executive agency BIM is tasked by the Government with the development of aquaculture, including salmon farming15. It is advised in these matters by the MI, another executive agency of DAFM. DAFM is also responsible for advising the Minister for Agriculture, Food and the Marine (‘MAFM’) on whether and on what terms licences are to be issued for the carrying on of aquaculture activities including the carrying out of the Appropriate Assessment of licence applications. Finally, DAFM are the authority for the enforcement of the conditions under which licences are issued. It is submitted that there are massive conflicts of interest built into this structure and that the entire decision making process is tainted by these conflicting functions within the DAFM and its agencies. The well demonstrated unwillingness or inability of DAFM to hold operators to account for meeting their licence obligations is evidence of their being heavily weighted towards their development and growth objectives rather than their regulatory obligations. The content of the EIA reflects this bias. The membership of the review group is composed entirely of people who, however worthy they may be as individuals, are employed by DAFM and its agencies and include at least one person whose role is to promote aquaculture – a person who might usefully have been invited to give evidence to such a review but whose presence as a member is entirely inappropriate. 15 Cf Seafood development programme 2014-2020, DAFM (Dublin, March 2015) and National Strategic Plan for Sustainable Aquaculture Development, DAFM (Dublin, June 2015).